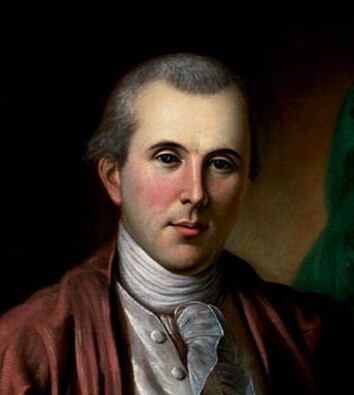 Benjamin Rush (1746-1813) was an American-born physician, politician and revolutionary. Born in rural Pennsylvania, he was the son of a farmer and gunmaker who died when Rush was an infant. After this Rush was raised by an uncle who was devoutly religious, a quality that rubbed off on his nephew. Rush was educated at Princeton and the University of Edinburgh while undertaking medical training in Philadelphia. He set up his own practice there in 1769. Rush also served as a professor and a research academic, though his own discoveries were unremarkable. Medical historians are strongly critical of Rush’s practices and theories. He relied in particular on the medieval practice of bloodletting, which often did more harm than good. During this period Rush was a political conservative who expressed strong loyalties to Britain and the king. During a visit to the royal quarters in London, he begged an attendant for permission to sit on the king’s throne. But Rush was also a social reformer who called for medical care for the poor, better treatment for prisoners and the abolition of slavery (even though Rush himself owned one slave). When the revolution erupted in the 1760s Rush gave it his vocal support. Rush was elected to the first and second Continental Congress (1774-75). In early 1776 he provided funds and suggested the title for Thomas Paine’s Common Sense, then months later was a signatory to the Declaration of Independence. During the Revolutionary War Rush served as surgeon-general to the Continental Army. 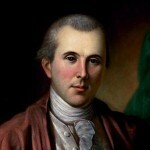 He was later an outspoken Federalist, giving the Constitution his full support while continuing his opposition to slavery.